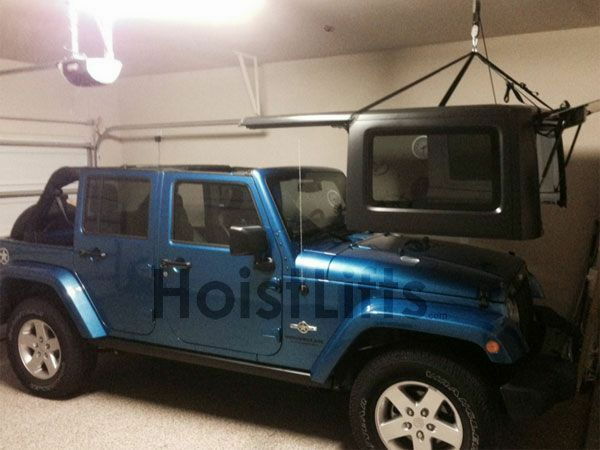 I have a 2004 Wrangler that I now need help removing the top, my sons have grown up and moved away. Can anyone recommend a lift system that works. 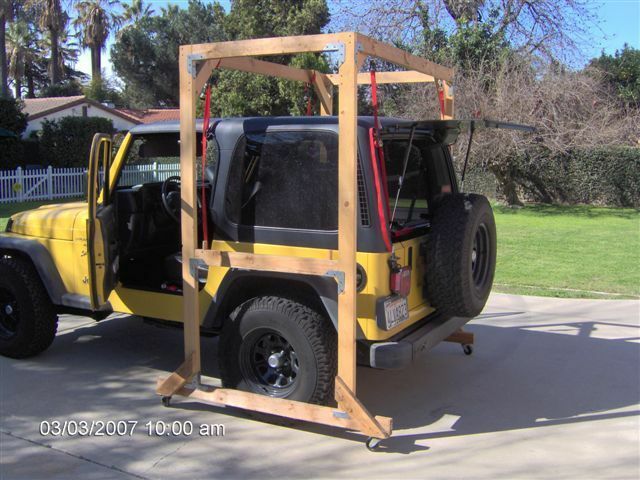 When my uncle had his, he used scaffolding to hang the top from using straps. He would simply back in under it and lower the top down. This isnt his, but you get the idea. I never did like it. I scratched the pillar paint more than once using this system. It was hard to take it off perfectly level each time. Sliding Rag Top or Chop Top?